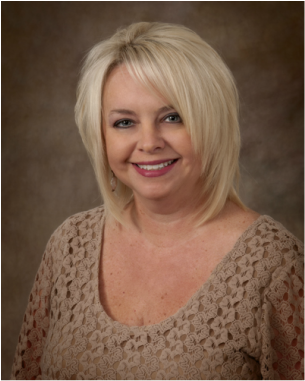 Dr. Tammy Love is originally from Cave City, Ky. She completed her undergraduate education at Western Kentucky University obtaining her B.S. degree with a major in biology and a minor in chemistry. She then received her doctorate of optometry from the University of Alabama at Birmingham. 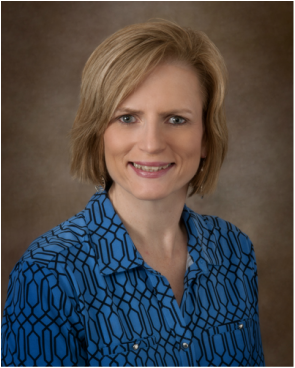 Upon graduation Dr. Love began her optometric career in Bowling Green, where she resides with her husband Tracy and their 2 daughters, Grace and Savanna. She is a member of the American Optometric Association, the Kentucky Optometric Association, The Women's Fund of South Central Kentucky, and serves on the Warren County board of Health. She is a member of Woodburn Baptist Church. In 2014, Dr. Love was once again named Bowling Green's best eye doctor by the Daily News "Best of Bowling Green" survey. Dr. Trina Warden is originally from Elizabethtown, KY. She completed her undergraduate B.S. degree from Western Kentucky University with a major in biology and a minor in chemistry. Dr. Warden then received her doctorate of optometry from Indiana University School of Optometry in Bloomington, IN. She then began practicing in Bowling Green upon graduation. She is married to her husband Jimmy and they have one son, Trent. Dr. Warden is a member of the American Optometric Association, the Kentucky Optometric Association, The Women's fund of South Central Kentucky, and served on the board of Big Brothers Big Sisters of South Central Kentucky for over 10 years. She is also a member of Broadway United Methodist Church. In 2014, Dr. Warden was once again voted Bowling Green's favorite eye doctor by the Daily News "Best of Bowling Green" survey. Joe joined Love and Warden Eye Care in January 2006. He is a licensed optician and brings over 30 years of optical experience to the practice. His knowledge of frame styling and lens technology is unsurpassable. Joe is a native to Bowling Green and has been married to his wife Nancy for 36 years and has one son, Anthony. Debbie Joined Love and Warden Eye Care in March 2007. She is originally from Highland, Illinois. She is a licensed optician and has been enjoying this occupation since 1982. She has two daughters and enjoys spending time with her three grandsons. Aaron is originally from California and moved to Bowling Green in 2015. He enjoys cooking and studied in culinary school for 2 years. He started with Love and Warden Eye Care in June 2018. He is a certified optician and is studying to be licensed. Bethany has worked in eye care since 2005 and joined Love and Warden Eye Care in January 2013. She is married to Kevin and they have 1 son. She enjoys riding motorcycles with Kevin and spending time with family and friends. Kyanna moved back from Louisville to her hometown of Bowling Green and joined Love and Warden Eye Care in March of 2016. She is a graduate of WKU and has a daughter named Layla. She loves spending time with her family. Sandy graduated from Campbellsville University where she played softball. She enjoys sports, being outdoors, and spending time with family and friends. Sandy joined Love and Warden Eye Care in May 2018.